Last five ONI Index are JAS 2017 -0.1ºC, ASO 2017 -0.4ºC, SON 2017 -0.7ºC, OND 2017 -0.9ºC and NDJ 2018 -1.0ºC. 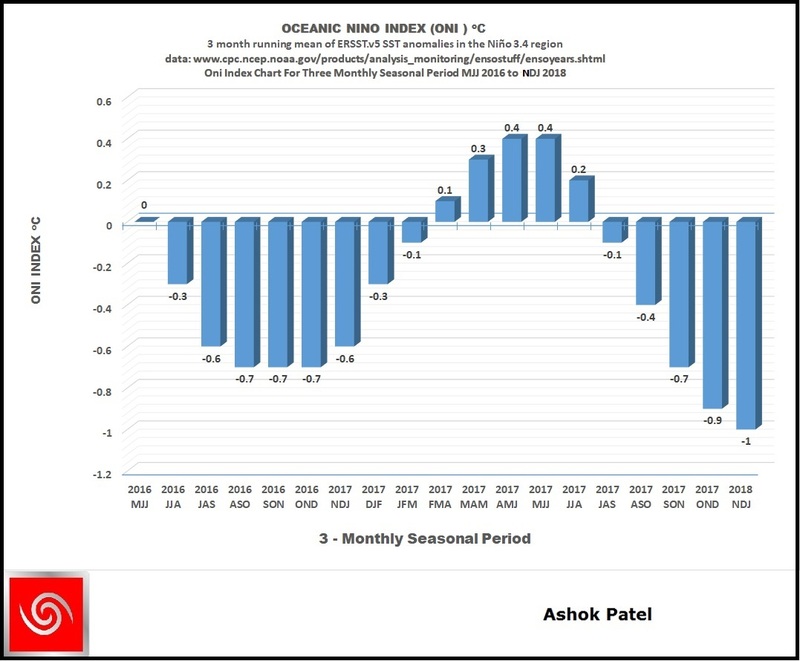 Now three 3-monthly seasonal ONI Index are in the La Nina zone and hence the Nino 3.4 Region of Pacific Ocean yet continues to remain officially in ENSO Neutral zone, though leaning towards potential La Nina. The 30-day Southern Oscillation Index (SOI) to 28 January is +9.2 (90-day value +6.0). The 30-day SOI on 2nd February was +6.9 and has returned to positive zone after a brief fall into the negative range. SOI Monthly graph up to January 2018 as per The Long Paddock – Queensland Government. 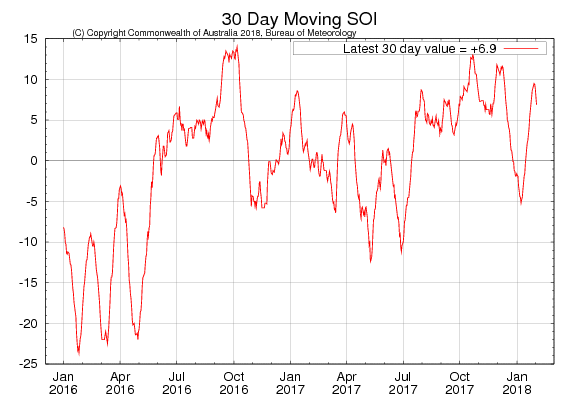 30 Days average SOI was +8.93 at the end of January 2018 and +6.38 on 3rd February 2018 as per The Long Paddock – Queensland Government and has reentered the positive zone again after brief time in the negative zone. International climate models surveyed by the Bureau indicate that the equatorial Pacific sea surface is likely to warm in the coming months, returning to neutral values between late in the austral summer and mid-autumn. Only one out of the eight models maintains La Niña levels into winter (June), while three models are in the neutral range by February. 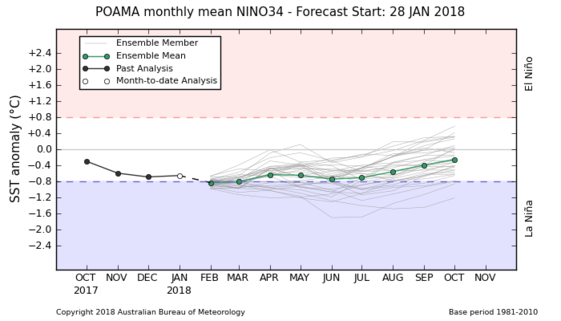 The Bureau’s model POAMA indicates a return to neutral values in April, though remains close to La Niña levels until the end of winter. The current SST January 2018 of Nino 3.4 region is at -0.9°C and so now last three ONI Index have La Nina thresh hold as SON 2017 at -0.7°C, OND 2017 at -0.9°C and NDJ 2018 at -1.0°C and so yet Enso Neutral zone prevails though leaning towards a potential La Nina. The next two consecutive 3-monthly seasons namely DJF 2018 and JFM 2018 should manage to remain equal to or below -0.5°C, for a Full fledged La Nina to be qualified as per NOAA criteria which translates to earliest La Nina at the end of March 2018. ઓસ્ટ્રેલિયા ની BOM સંસ્થા મુજબ હાલ La Nina પરિસ્થિતિ છે. 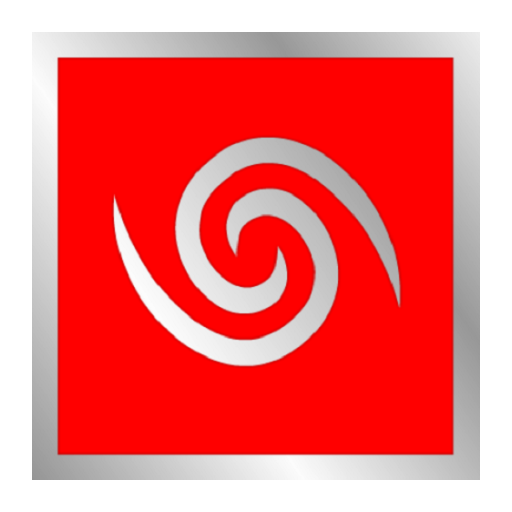 જયારે NOAA મુજબ La Nina એડવાયઝરી છે. હાલ ના અંદાજ મુજબ ENSO ન્યુટ્રલ પરિસ્થિતિ છે અને વિધિવત La Nina ની સ્થિતિ માર્ચ 2018 આખર પહેલા શક્ય નથી (NOAA, U.S. ના માપ દંડ મુજબ ); કારણ કે વિધિવત La Nina ડિક્લેર કરવા માટે ના સળંગ 5 ત્રિમાસિક સીઝન La Nina માપ દંડ પ્રમાણે હોવા જોઈએ જે પૈકી હાલ 3 ત્રિમાસિક સીઝન La Nina માપદંડ પ્રમાણે છે. માટે ઓછા માં ઓછા હજુ 2 ત્રિમાસિક સીઝન માં ONI ઈન્ડેક્સ -0.5°C અથવા નીચે રહેવું જોઈએ.